7 Kids and Us: GrillEye: The Bluetooth Way To Grill! It's always the same when we grill. Neither my husband or I ever know exactly when the food is cooked perfectly, so we usually end up with pieces of meat that have been cut in half and half again to check for doneness, which then leaves a bunch of pieces that are dry and no one wants to eat. I was so excited to hear about GrillEye, you simply attach the probes to your food, and the bluetooth app tells you when your food is done! No more guessing! GrillEye is a top-quality Smart Bluetooth Grilling & Smoking Thermometer that monitors users' grill or smoker, while they relax with their friends and family. As soon as food temperature reaches the desired levels GrillEye sends a notification to users' iOS or Android device. 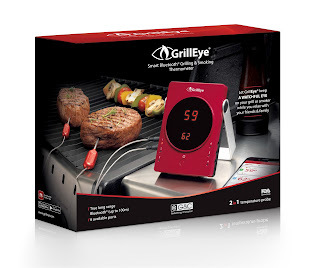 Bluetooth connection of the GrillEye, enables users to monitor grilling temperatures from up to 100m distance, without experiencing disconnections. 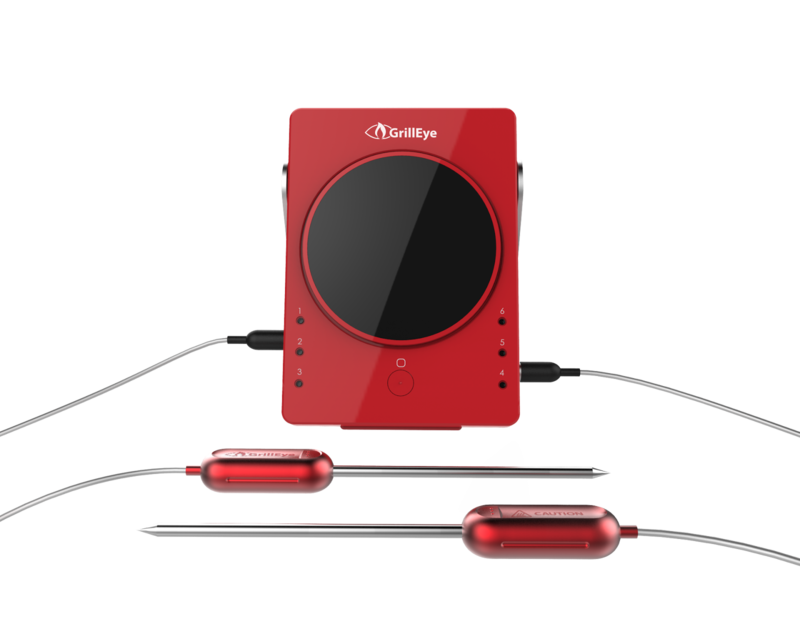 6 Probe portsGrillEye allows easy monitoring of up to 6 different temperature probes at the same time. Dual temperature displayGrillEye displays, simultaneously, the current as well as the target temperature, using 2 different LED indicators. It includes 2 Pro-grade meat thermometer probes, made of space grade aluminum with flame-proof grip, and 2 clips for ambient temperature readings. 2 probes are included in each GrillEye device. Additional probes can purchased separately. Elegant and rugged designGrillEye is designed to withstand the rough conditions during grilling and smoking, without loosing its premium style that makes it stand out of the bunch.